Product liability is the area of law in which manufacturers, distributors, suppliers, retailers, and others who make products available to the public are held responsible for the injuries those products cause. A product that causes the user any type of bodily injury as the result of a defect is considered a defective product. Product liability claims include design defects, manufacturing defects and insufficient or improper warning labels regarding the use of the product. Many of these injuries arising from a defective product could have been avoided if the manufacturer or distributer had taken the necessary steps to ensure consumer safety. Pilot Law, P.C. 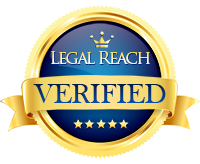 has years of experience successfully representing seriously injured clients and recovering for them the monetary compensation that they deserve. We may be able to recover compensation for your injuries, as well as for medical bills, hospital expenses, loss of wages, and other related expenses. Pilot Law’s previous product liability cases include SUV rollovers, tire tread separations, and seat belt failures. If you have questions about serious injuries caused by defective or poorly designed products, please contact our office.